Yet, the emphasis of the release as well as its promo campaign was noticeably shifted from Michael Jackson’s artistic work towards freshly made remixes of the songs. A documentary with producers speaking about how they reinvented the music of the deceased artist, a music video with strangers dancing to a duet that never happened, and a hologram of a Michael Jackson impersonator performing a re-written version of his song – all of it, ironically, had little to do with Michael and his genuine art. For people like me, the admirers of Michael’s artistry and music (or, as we are called today, “purists”), the original versions of the songs were released on the Deluxe edition of the CD. Those eight compositions, eight hidden gems, were my cherished take-away from the Xscape project. Today, almost a year after the release of the collection, I’m holding in my hands a book that shines the light on those gems and gives them proper attention. 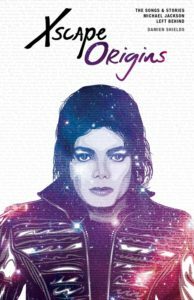 «Xscape Origins: The Songs and Stories Michael Jackson Left Behind» – a new book by Damien Shields – explores the history of the eight original tracks released on the Xscape collection. The book spoke to me right from the preface where the author explains how this project was conceived. 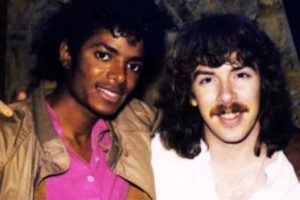 According to Damien Shields, it was born out of the desire to give credit to Michael’s original work that received a seemingly second-rate treatment on his own album. I could relate to that feeling. For me, it is quite obvious that the value of the unreleased material Michael left behind is not in its completeness, and neither is it in how contemporary it sounds today. Its value is in its ability to provide a glimpse into his creative mind at a certain era. The sounds and musical parts he chose for his arrangements, the “feel” that he was aiming for in his songs are revealing of his inner world. It is known that Michael was extremely meticulous when it came to his music and sometimes spent years on improving arrangements to bring them to the state of completion. To witness that creative process in his unfinished material is a way to “converse” with the artist, to enjoy his brilliance. That is why, in my opinion, the original work must always come first, regardless of how modern and good-sounding the remixes of it might seem at a particular moment in time. True to this principle, «Xscape Origins» puts Michael Jackson’s original art back in the spotlight. The book consists of eight chapters – one for each song of the collection. Two of the chapters – “She Was Loving Me” and “A Place With No Name” – are based on the articles previously published in Damien Shield’s blog; although in the book, Damien expands them with additional quotes and personal accounts. The other chapters are completely new. The book traces the history of each song back to its creation and talks about its evolution through the years. But perhaps most importantly, it immerses the reader in the environment in which the music evolved. The Xscape collection, not adhering to any particular concept, contains songs that range from 1980 to the Invincible era, from demos recorded and soon put away to songs that Michael worked on extensively and considered for release. Some songs, therefore, have longer and more substantial history than others. Yet, Damien places even less significant songs in the context of time and gives each composition a rich background by describing what other material Michael worked on during the same period, who he collaborated with and what kind of ideas he was exploring musically. In order to capture the power and passion in the words of Michael’s creative partners exclusively interviewed for the book, Damien chooses a wise approach – instead of retelling the story, he gives the floor to the witnesses as much as possible and allows them to speak. Besides sharing the story of each song, through the words of Michael’s collaborators, the book paints a vivid picture of Michael’s artistic side and his modus operandi in a recording studio. Nearly every person quoted in the book mentions how much they were affected by the experience of working with Michael Jackson. Many of them were accomplished artists and producers in their own right, and yet they speak of him almost with reverence and treat the opportunity they were given as the greatest blessing of their lives. The excitement in their words when they describe the recording sessions is contagious. Some of the recollections (“His tone is insane, dude. Insane!”) give you goosebumps. You also get a sense of how demanding Michael was with producers and musicians and how high a bar he set for them – and himself. There is a common belief that Michael had a hard time saying “no” to people – but not when it came to his music. As this book demonstrates yet again, when it came to sound and melody, Michael Jackson was very particular and never settled for second best. Chapter “Xscape,” my favorite in the book, offers a precious glimpse into the chemistry between Michael, Cory Rooney and Rodney Jerkins when the latter just joined the Invincible project. The chapter tells the story of how Michael initially expressed doubt in Rodney’s abilities and Rodney set out to prove himself – with such fervor that he locked himself in the studio for weeks and worked with his team in three shifts around the clock to deliver music Michael would accept. Such was the desire of Michael’s producers to attain to the level of his quality standard. Chapter “Do You Know Where Your Children Are” is another one that stood out to me because it touches on social themes in Michael’s work. In MJ’s official discography, these themes became prominent with the Dangerous album (Bad, of course, had “Man In The Mirror,” but that song wasn’t written by Michael). Yet, as Damien argues in «Xscape Origins,» Michael really started focusing on these subjects back in the Bad era, with songs like “Do You Know Where Your Children Are,” “Abortion Papers” and a few others that ultimately didn’t make the cut. In that period, when he was thought of by many as being “out of touch with reality” and living in a fantasy land, Michael was actually very much attuned to social problems. By the time when biographer J. Randy Taraborrelli took the liberty to mock Michael’s famous “Bad” video, saying that his concept of street life was “distorted” and “caricatured” (“Is this what Michael sees from the tinted window of his limousine?”), Michael had written then-unheard “Do You Know Where Your Children Are” with its all too realistic picture of street life he witnessed nightly on the way from the studio (and not in a limousine, by the way, — according to his colleagues, he was driving a beat-up Chevy Blazer at the time). Michael became proficient in learning from the greats. And being an accomplished artist himself, perhaps he envisioned that one day, future generations will be studying his creative process in the same way and be similarly inspired by it. As Matt Forger beautifully says in the foreword, Michael “loved storytelling and would want the story to be told.” And, thanks to researchers like Damien Shields, we now have an opportunity to hear the story and learn from it. Coming soon on MJ.ru: an exclusive interview with the author of «Xscape Origins,» Damien Shields. Stay tuned! Thank you for a wonderful review! You’ve noticed all the important and impressive moments. Great book.